The CWL Las Vegas MVP won’t be playing in the opening matches. The first MVP of the competitive Black Ops 4 season won’t be playing in his team’s opening match of the 2019 CWL Pro League. OpTic Gaming’s coach Tyler “TeePee” Polchow confirmed that substitute player Tommy “ZooMaa” Paparatto will be filling in for Brandon “Dashy” Otell at the CWL Pro League. “ZooMaa is playing while we figure out some issues with Dashy,” TeePee said on stream. Rumors were circulating that Dashy, who lives in Canada, might be having travel issues that could cause him to miss today’s start to the 2019 season. Now, the Green Wall’s worst nightmare has come true with TeePee confirming that the MVP of CWL Las Vegas won’t be playing right away at the CWL Pro League. TeePee didn’t specify how long ZooMaa will be filling in for Dashy, though. The 2019 CWL Handbook says that “teams are only permitted to make a substitute request for an entire week of regular season play. Unless otherwise explicitly permitted by the Administration, teams will not be permitted to field a substitute from match to match.” This means that ZooMaa will likely play in OpTic’s first four matches of the 2019 season. OpTic’s lineup for the opening week of the CWL Pro League will feature ZooMaa, Seth “Scump” Abner, Ian “Crimsix” Porter, Damon “Karma” Barlow, and Tommy “TJHaLy” Haly. 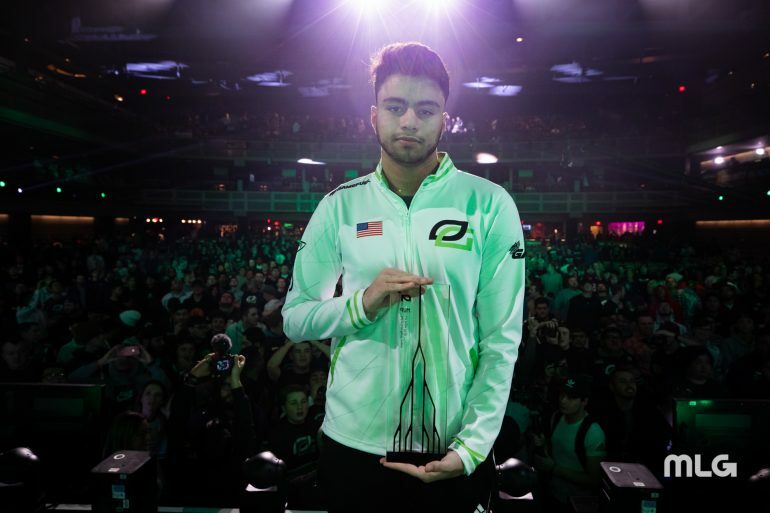 Without Dashy, OpTic will have a rather SMG-heavy lineup—ZooMaa is known for being an aggressive SMG player, which likely means that Karma and Crimsix will be the only AR players for the time being. OpTic’s first match of the 2019 CWL Pro League will take place today (Monday, Feb. 4) at 6:30pm CT.